A hooded jacket that stays warm even when it's wet. Simms' Downstream® Jacket combines DWR-treated down with PrimaLoft® Gold synthetic insulation for all-round, water-resistant warmth. 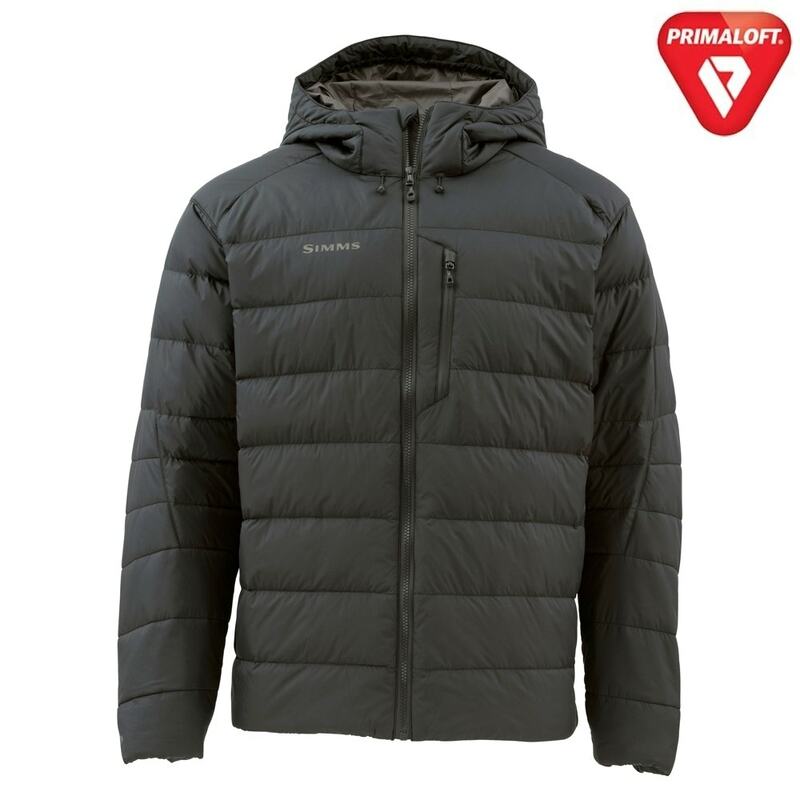 The ripstop shell is coated with Pertex® Endurance to keep out rain and wind. 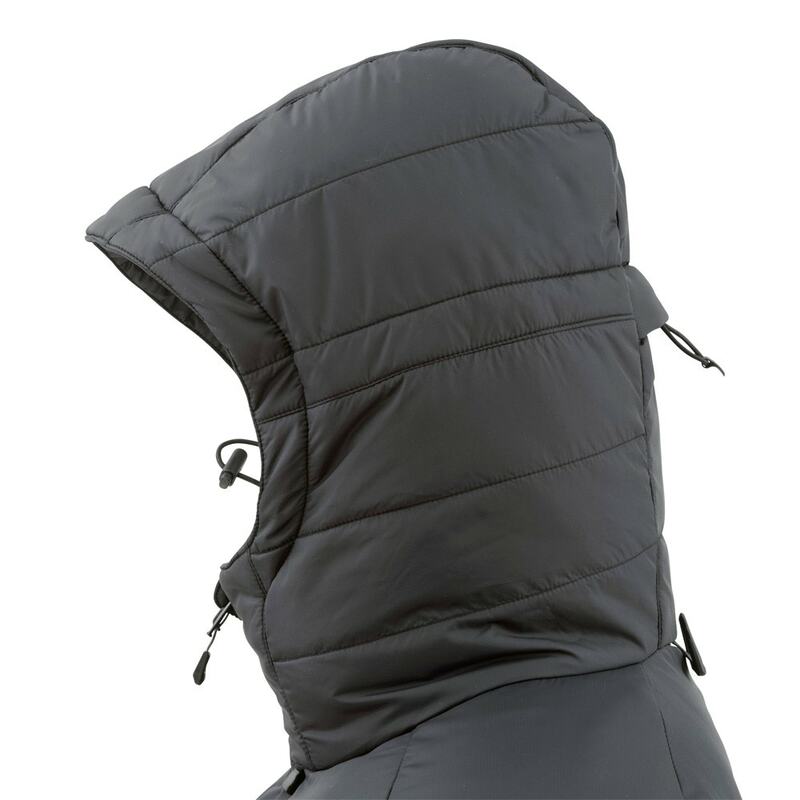 The comfortable three-point adjustable storm hood offers great protection during serious weather.